You are here: Home / News / Boys Special Programs / Mivtzah Lulav / Barouk boys help man shake Lulav and put in his first Mezuzah! 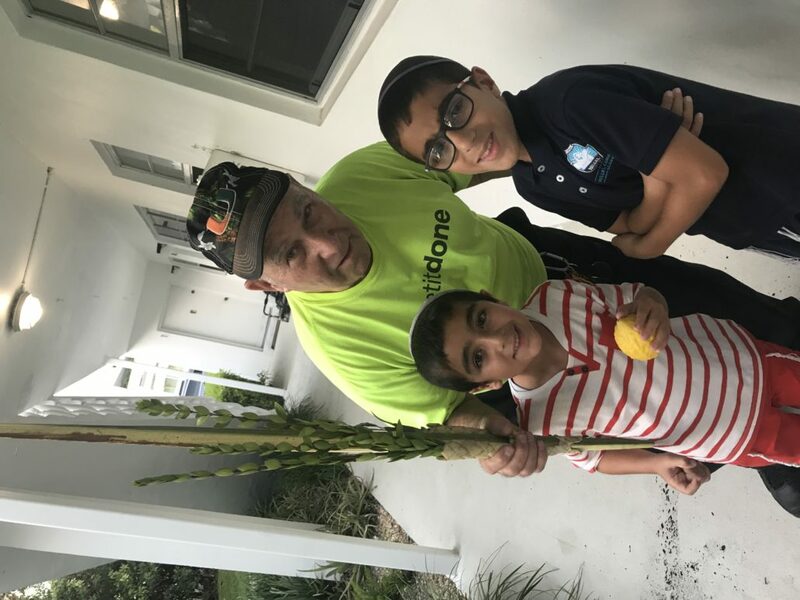 Barouk boys help man shake Lulav and put in his first Mezuzah! When Motti notices that Bob’s door didn’t have a mezuzah (after he helped Bon shake he Lulav for the first time in years), he offered to get one from his own home. And when Bob agreed to put it up, Motti ran home to get his extra Mezuzah, brought it right back to Bob, and made him repeat the Bracha (which he knew by heart!). https://lecfl.com/wp-content/uploads/2018/09/8CA7108A-8DB8-4CDD-80AE-D75F5D6DFC2E.jpeg 1024 1365 Boys Programs https://lecfl.com/wp-content/uploads/2014/11/Logo-for-LECFL-site.jpg Boys Programs2018-09-26 22:30:102018-09-27 03:09:35Barouk boys help man shake Lulav and put in his first Mezuzah!